Mark Trumbo homered, Manny Machado had two hits and three RBI. Yeah, it was a typical day at the ballyard for the Baltimore Orioles. 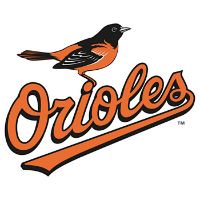 Another offensive onslaught lifted the O’s to a 12-6 win at San Diego on Wednesday. Baltimore (47-30), winners of seven straight, got 12 hits in support of Yovani Gallardo (3-1, 5.77 ERA, 1.57 WHIP), who got the win, allowing three runs on three hits in six innings, striking out six and walking three. Trumbo (.282/.332/.562, 23 HR, 60 RBI) was 2-for-5 at the plate with a homer and four runs batted in. Machado (.332/.390/.611, 18 HR, 49 RBI) was 2-for-4 with three runs batted in and two runs scored. Even Gallardo got in on the act, going 2-for-3 at the plate in the nine spot in the National League park. The win gave Baltimore a sweep of the short two-game series. Next up for the O’s is a trip up the Left Coast to Seattle to start a weekend series with the Mariners on Thursday.